When you create a regular email campaign with our Campaign Builder, you can select a date and time for delivery to your list. In this article, you'll learn how to schedule or pause an email campaign in Mailchimp. To schedule a regular email campaign, follow these steps. After you're done with your campaign's design and settings and it's ready to go, click Schedule. 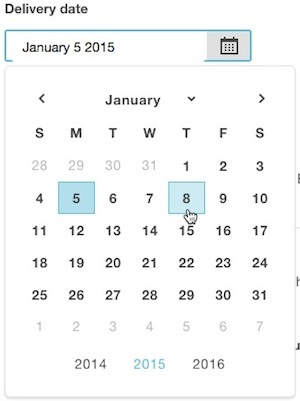 In the Schedule Your Campaign pop-up modal, use the date picker to set the delivery date. Click the Delivery time drop-down menus to choose a time of day. If you have a paid account, you can also choose to send your campaign in batches, use Timewarp, or try Send Time Optimization. Review your settings and click Schedule Campaign to confirm. After the campaign is scheduled, you'll see the time the campaign is set to send to subscribers on the Campaigns page. Send Time Optimization is a paid account feature that looks at your subscribers' click activity history to see when they're most engaged in Mailchimp campaigns. Then, it recommends a send time. Timewarp is a paid account feature that delivers a campaign to your list based on the recipient's time zone, instead of the time zone in your account settings. Batch Delivery is a feature for paid accounts that sends your campaign out in timed batches rather than to your whole list at once. This helps control traffic to your website and prevents potential strain on your server. We finalize your recipient count at the send time for your campaign. Addresses that have been added or removed between scheduling and sending will be adjusted in the final send count. Seasonal time changes can be a bit tricky for campaign scheduling. For example, British users on Greenwich Mean Time (GMT) may notice that their campaigns send later than expected after the switch to Daylight Saving Time. We recommend you set your account to your local time zone, rather than an absolute time zone like GMT, so you don't have to worry about scheduled campaigns sending at odd hours. If your local time zone isn't listed in Mailchimp, you may need to manually change your account time zone in Account Details when your country or region has seasonal time changes. This will ensure the most accurate send times. To pause a scheduled regular email campaign, follow these steps. Click the Pause and Edit button next to the scheduled campaign you want to work with. In the Pause Campaign pop-up modal, click Pause to confirm that you want to pause the campaign. Make any changes you want, then click Resume Campaign. If you don't want to send or reschedule the campaign yet, click your browser's back button to exit the campaign. We don't recommend you pause a scheduled campaign within 5 minutes of its scheduled send time, because our servers will already be preparing a campaign for delivery at that time. If you try to pause a scheduled campaign that’s already prepared for delivery, it will still send as scheduled.